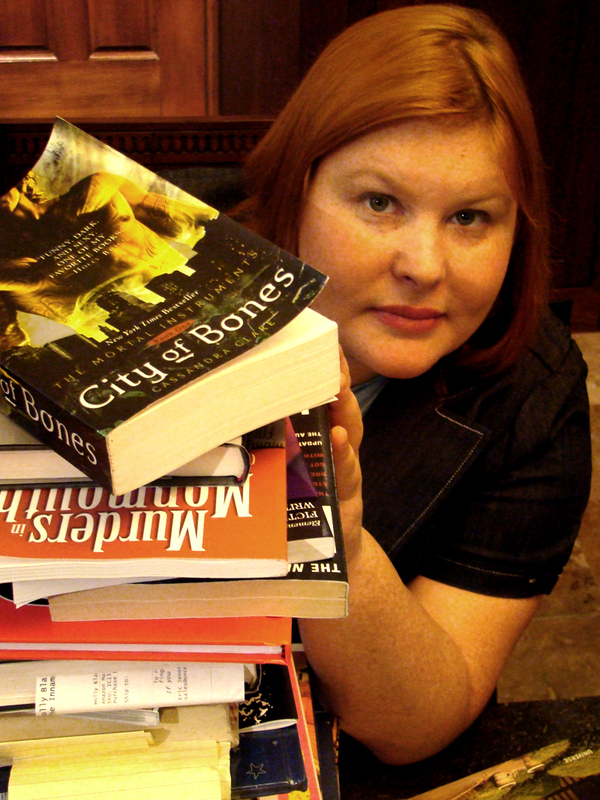 Despite The Mortal Instruments and The Infernal Devices set to come to a close in the next couple of years, bestselling author Cassandra Clare won’t be saying goodbye to her Shadowhunter world just yet. Clare has signed a three-book deal with Simon & Schuster to write The Dark Artifices, a spinoff series set in 2013 Los Angeles. The first book is slated for a 2015 release. Clare has been teasing fans with the possibility of the spinoff series, but now there is confirmation, as Margaret K. McElderry Books, an imprint of Simon & Schuster Children’s Publishing, has announced the deal, according to The Washington Post. You can read more about The Dark Artifices here, which includes character names, setting, potential plots, etc. I know I speak for everyone when I say I cannot wait to meet these new characters and welcome them into the Shadowhunter family! Freaking unbelievable day for TMI fans!!! “Carstairs”? as, like, somehow related to Jem Carstairs?? yes i was wondering that myself is she related to jem? Soooo happy to hear this! I practically inhale her books lol. BlackThorn???????????????? Julian needs to be a Herondale! This is so wrong!!!! Hmm. Jem is the lasy Carstairs we know of, but he’s marrying TEssa, so she’ll be a Carstairs too soon. Will they have a child? This bodes well for TessaJem fans, I guess. Jem isn’t the only Carstairs. He’s got extended family members who could’ve had kids of whom Emma is the descendant. HA HA!!! that means he has children with someone else!!!!! NOT TESSAA!!!! HA HA HA HA HA HA! In the end Tessa will be with Will just wait! And JEM IS GONNA DIE!!!!!!!! Omg, What if Tessa ended up with not Jem (whew!) but not Will either! *upset*. It would be so sad. Wizard, I think it’s too hard for Jules to be a Herondale. Jace if the only one left. And he cannot have a 17year old son just five years later. That’s something new- the male protagonist isn’t a Herondale. I am only 12 years only and i have fallen in love with something and some people that aren’t even real. I watched the city of bones movie and couldn’t wait to read it. I read the mortal instruments then the infernal devices. I cried at the end I wasn’t even happy cause I knew that tessa would just have to watch another person she loved very much about die right in front of her. As I read both series I saw how the books tie together. I can’t think of a single day that I haven’t been reading your books. I used to hate to read and now I can’t stop i have fallen in love with all the characters and the shadow world. I wish I was a part of it and that I could be clary or tessa. To have someone that would never not love me and that would die before they lost me. So thank you for writing these books and giving me something to look forward to and to love and dream about. Your amazing so never stop writing. Never hide your talents you are just to great.